There is a growing body of evidence documenting extensive racial/ethnic disparities — avoidable, harmful differences — in pediatric health care. Children often experience these disparities due to social, economic, and geographic factors outside of their control, such as health care provider racial bias. Racial bias can be either implicit or explicit. Implicit bias refers to unconscious attitudes, positive or negative, towards a person, group, or idea. Implicit bias lies below the surface, but may still unintentionally influence behavior, such as perceptions about patients or decisions about patient management. Explicit biases, in contrast, are conscious attitudes that are recognized by the individual, and can therefore be measured through self-report. While little-to-no explicit bias has been found among health care providers, most exhibit implicit preference for whites over blacks. Understanding these biases and how they contribute to health disparities can lead to more successful interactions with the health care system for all patients. In a study of 91 resident physicians in a large pediatric emergency department in western Pennsylvania, we found that physicians had comparable levels of bias against black adults and black children. Dr. Johnson and her team have conducted several studies to better understand implicit racial bias in pediatric medicine. Dr. Johnson’s first study analyzed implicit racial bias in a pediatric emergency department (ED). She used the Adult Race Implicit Association Test (IAT) to determine if physicians have different levels of implicit racial bias post-ED shift versus pre-shift, and to examine associations between cognitive stressors with bias. She found increased post-shift implicit racial bias when the ED was more overcrowded and among residents caring for more patients during their shift. A second study aimed to compare differences in implicit racial bias towards adults and children among resident physicians working in a pediatric ED. 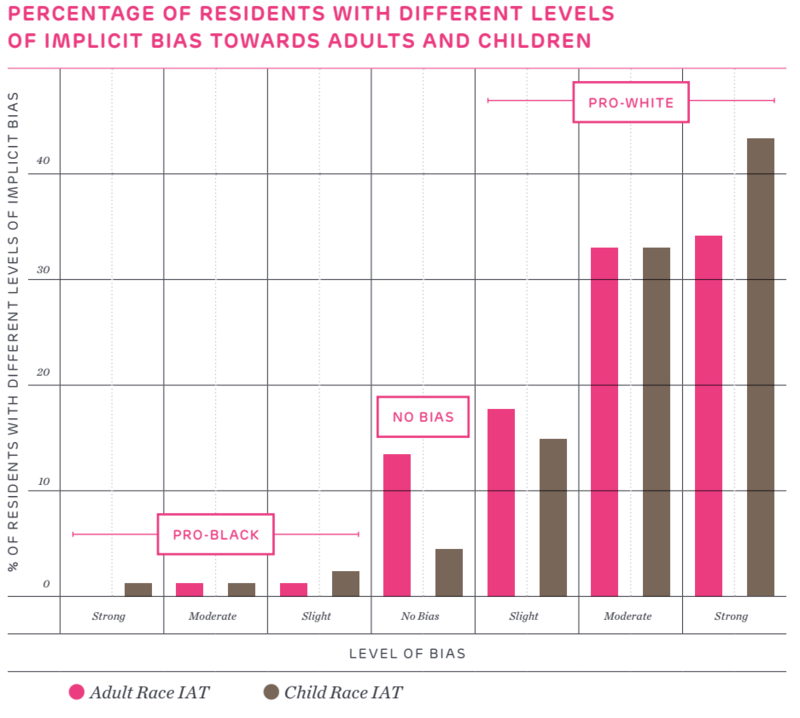 This study used both the Adult Race and Child Race IATs to measure implicit racial bias towards these populations. Each of these studies contributes to the goal of identifying and exploring the root cause of disparities to eventually develop and implement interventions to reduce disparities in pediatric care. Dr. Johnson’s findings of higher bias associated with cognitive stressors suggest that strategies to improve staffing and prevent overcrowding may reduce implicit provider bias and its potential impact on patient care in the ED. With funding from the Robert Wood Johnson Harold Amos Medical Faculty Development program, Dr. Johnson’s ongoing research in this area is focused on understanding how implicit provider bias is directly associated with disparities in pediatric emergency care. Further research is also needed to examine how unconscious bias may impact workforce diversity in academic pediatrics. To address this, Dr. Johnson and her team are setting out to describe levels of implicit racial bias among academic pediatric faculty leaders in recruitment roles. Policies aimed at improving workforce diversity represent another strategy for reducing disparities. The Children's Hospital of Philadelphia, PolicyLab. Implicit Racial Bias in Pediatric Medicine [Online]. Available at: http://www.policylab.chop.edu [Accessed: plug in date accessed here].